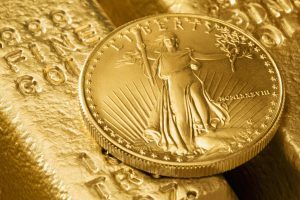 After the lengthy bear market, gold could pick up its bullish momentum again, according to VanEck International Investors Gold Fund manager Joe Foster. The prospects for beaten-down gold stocks are starting to look promising, he said, citing geopolitical risk, uncertainty around the Trump presidency and potential inflationary pressure. He explained that gold, which is traditionally viewed as a safe-haven asset in times of economic weakness, should regain its shine as the current economic cycle reaches its late stages, and with expectations that the equity bull market is coming to an end. Foster has suggested that the selling pressure characteristic of the “horrendous bear market from 2011 to 2015” is finally reaching a bottom. He believes the selling pressure has diminished and that downside risk is now at a minimum. Foster said that gold hasn’t lost its luster in an age of cryptocurrencies and high-powered tech giants. He suggested that it would test the $1,400 level in the second half of this year.